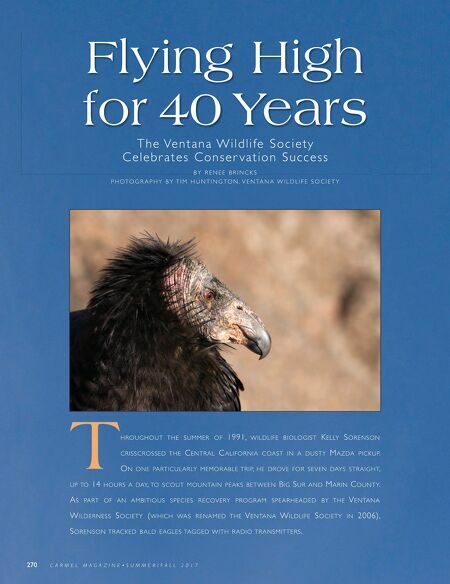 (Opposite) A juvenile California condor, "Icarus," looks out over Pinnacles National Park. 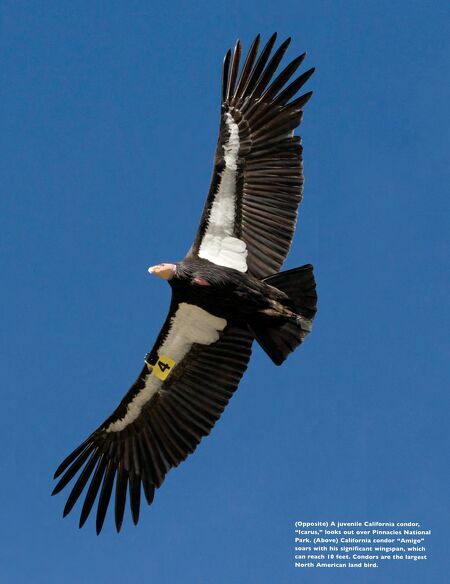 (Above) California condor "Amigo" soars with his significant wingspan, which can reach 10 feet. Condors are the largest North American land bird.